The Kérastas brand was established in Paris in 1964 when the first product line under the name Kérastas was born in the laboratories of the parent company L'Oreal Paris. They have used the most advanced technologies and research to give the resulting products a touch of luxury. 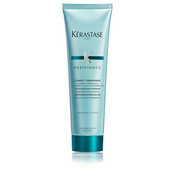 Until today, the Kérastase brand is one of the most precious hair care cosmetic. With the expertise of L'Oréal Paris with over than 700 scientists, Kérastase is more than 50 years leading technology expert in hair and scalp care. Unique care of Kérastase is based on 3 important components: the most advanced technology, Kérastase consultants' expertise, and Kérastase's personal approach to the customer. 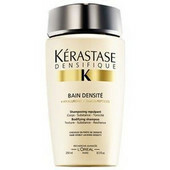 Kérastase brand is part of L'Oreal Paris brand portfolio and is a professional product group that meets the needs of hair salons and provides wide range of innovative products to the customers. 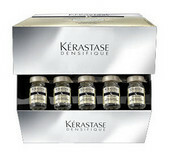 Their range includes special preparations for all types of hair - normal, dry, damaged, greasy, mature, hair with dandruff etc. Thanks to their composition, they really improve hair condition - See the result right after first use!